We would like to welcome you to Nagarjuna Kids' World. Here, we aim to provide not only a caring, happy, safe environment but also a wide range of balanced learning opportunities for all our children, to help the children grow into independent and responsible citizens. 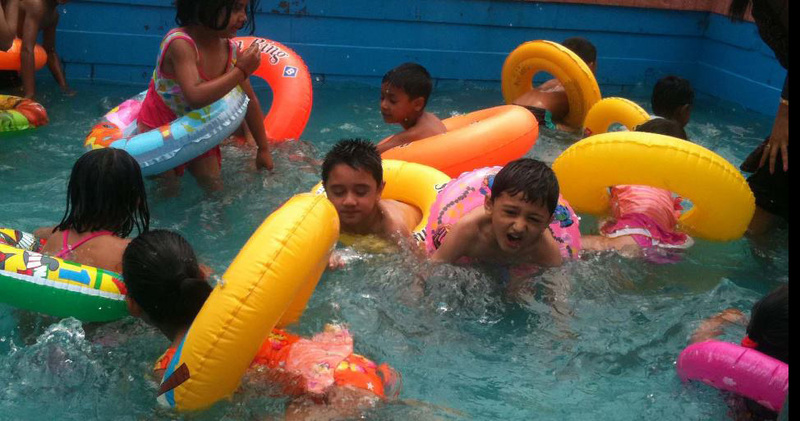 Nagarjuna Kids' World is a pre-Primary School with a Play Group aged 2-8 years. 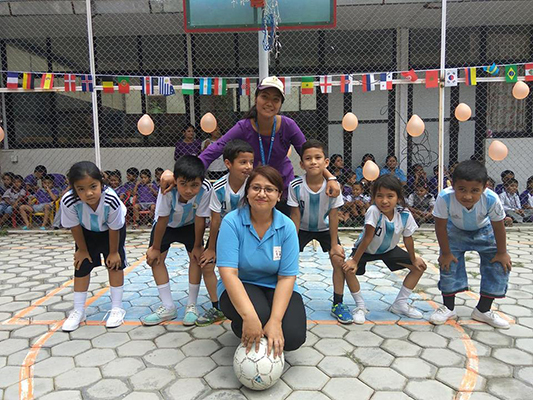 We cover the Play Group, Foundation Stage, Kindergarten–I, Kindergarten-II and Elementary – I, II and III. We believe that we can achieve the best for your child with close cooperation between home and school. 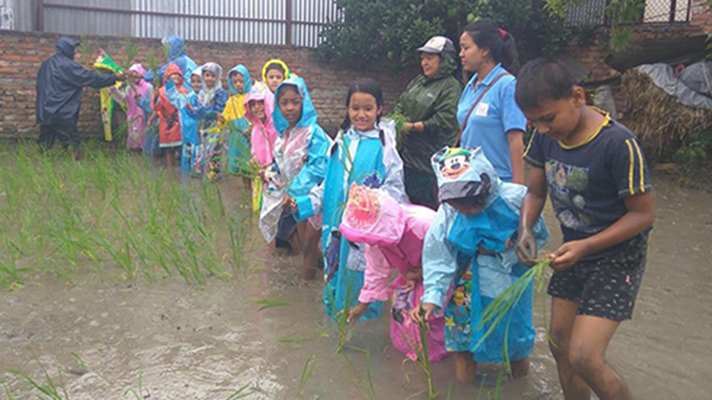 Children of this age must be kept under a sound and healthy environment. As one of the theories of Madam Maria Montessori says “a child possesses tremendous power to learn from their environment, including people as well as materials from the birth to the ages of six”. Please do visit us before taking decision for the enrollment of your child in any school. To provide a happy, safe and caring environment for the children. To encourage children to develop caring attitudes and respect towards themselves, other children, adults, their school and surroundings. To offer a broad, balanced, appropriate curriculum for academic, aesthetic, physical, social, emotional and spiritual development. 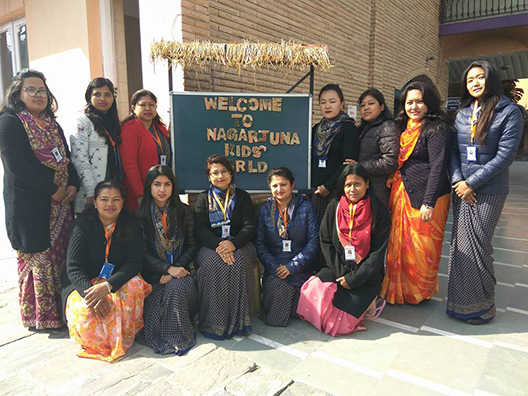 Nagarjuna Kids' world focus on to achieve a synthesis of Montessori's philosophy with the traditional Nepalese pedagogy so that our children will certainly be able to adopt with any environment in the world.